Eight reasons to try EMSCUPT® at Plastic Surgical Associates! One tx is equal to 20,000 supramaximal crunches. Supramaximal contractions are the full recruitment of all muscle fibers, during normal exercise it isn’t possible to hold this level of engagement for more than a few seconds. EMSCULPT allows the muscle to hold this tension level for much longer, thereby tremendously increasing metabolic demand in that specific area. Increased immunity: amino acid stores are vital to healthy immune function, and these are stored in muscle. More muscle means more amino acids such as glutamine, arginine and cysteine, and this translates to improved ability to respond to immunological threats. 91% of patients in the study were satisfied, however, RealSelf currently has 100% satisfaction rating. After EMSCULPT she felt much more confident. No downtime. This means you can still hit that spin class tomorrow morning or that evening yoga class tonight. Alongside that confidence boost that makes you realize you can do anything, the EMSCULPT results are something you’ll want to protect and optimize. Fat reduction, on average, of 19% at 1 month post-4tx inspires many people to make a persistent lifestyle change towards better nutrition and consistent exercise to optimize their results. Keep in mind that maintenance is still a personal, daily thing, and that two yearly maintenance treatments are recommended. Highly consistent, 21/33 patients had more than 15% fat reduction at 1 month post-4tx. Unlike many treatment interventions, few patients see little to no result. On average patients saw a waist decrease of over 1 inch at 2 months after 4tx. A decrease in waist circumference can lead to an improvement in the hip to waist ratio which has frequently been shown to be an even more accurate indicator of cardiovascular health than BMI. It is also a primary determinant of ‘attractiveness’. 10% reduction in diastasis recti at 2 months after 4tx. Moms don’t always have the downtime available for a full tummy tuck (the only method of full diastasis repair). However, some improvement is always better than none, and minor improvement to a diastasis can lead to small improvements in back pain, personal confidence and waistline measurement. Improvement in muscle tone allows for better muscle health and metabolism. Who doesn’t want a thinner sculpted physique? 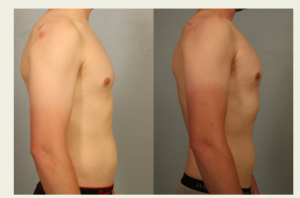 Build muscle and burn fat when you schedule your EMSCULPT consultation with Dr. Duncan at her Fort Collins plastic surgery practice!